In this article, we list the 14 most affordable accredited MSW programs in the northeast for 2016. For more programs in the east, see The 36 Most Affordable Accredited MSW Programs in the South East 2016. We examined 129 institutions located in the East that offer a master's in social work. From these schools we confirmed accreditation status with the Council on Social Work Education (CSWE). The CSWE is recognized by the Council for Higher Education as the only accrediting agency for social work in the nation. All New England states, as well as Delaware, Maryland, New Jersey, New York, Pennsylvania, and Washington, DC. We then reviewed each school's graduate tuition and fees, as listed by NCES College Navigator. We ranked our schools in order of affordability. Below are the most affordable accredited MSW programs in the northeast for 2016. The Master of Social Work degree program at Edinboro University of Pennsylvania equips students with the practical skills needed to work in various settings, from mental health care to psychiatric facilities. During year one, students take courses such as social work practice, human diversity, and mental health. A field education internship is required for each capstone. The fully accredited MSW program offers an accelerated format that can be completed online or on campus. The school's social work program is ranked #148 in the nation, according to U.S. News and World Report's 2016 edition of Best Colleges. Edinboro offers one of the most affordable accredited MSW programs in the northeast. The CSWE-accredited MSW program at West Chester University of Pennsylvania offers small class sizes, individualized attention and instruction, and quality education from esteemed professors. The program is ranked by U.S. News and World Report as the 79th Best MSW Program in the country, according to the 2016 edition of Best Colleges. West Chester is also listed as the 71st Best Regional University. Through evidence-based application, the MSW program provides students with knowledge in recovery, resiliency, and capacity building. The School of Graduate Studies at Southern Connecticut State University offers an affordable Master of Social Work degree program, accredited by the Council on Social Work Education. Students are required to demonstrate competencies in all areas of social work practice, including individuals, families, small groups, communities, and organizations. The first year covers materials in the classroom, while the second year prepares students for advanced clinical work. Curriculum covers topics such as advanced family practice, diversity and social functioning, human behavior in the social environment, and social welfare policies and delivery systems. Southern Connecticut's social work program ranks #130 among the Best Social Work programs in the nation, according to U.S. News and World Report's recent publication of Best Colleges. Affordable graduate tuition is one aspect that sets CUNY Hunter College of New York apart from other schools in the East. Residents of New York can take advantage of the inexpensive in-state tuition to pursue an affordable MSW degree. The college is ranked by U.S. News and World Report as the 47th Best Regional University in the North. For those interested in a graduate social work program, the accredited MSW at CUNY Hunter College is ranked 16th in the 2016 edition of Best Colleges. The Silberman School of Social Work offers a unique MSW program with various options for degree completion. The school offers a traditional two-year, a one-year residency, an advanced standing option, and an accelerated track. Dual degrees are also available and include the MSW and MPH degree, and the MSW and MS Ed degree. The Department of Social Work at Kutztown University of Pennsylvania offers a CSWE-accredited MSW degree that prepares students for work in the social work profession. Students have the option of completing the program in two years when attending full time, or four years if attending part-time. The unique program design allows students to collaborate with professors and each other to provide community service to families and individuals at risk. Students receive hands-on training through therapeutic interventions and agency administration. Policy development is also covered throughout the MSW program. According to U.S. News and World Report's 2016 edition of Best Colleges, Kutztown's social work program is ranked #187 in the nation. The affordable MSW program at Bridgewater State University is a challenging program that prepares students with advanced social work skills necessary for practicing in various social work fields. The program highlights biopsychosocial practice models and explores how to improve and promote social justice and positive advancement in the field. Small class sizes facilitate a more intimate and personalized learning environment, as students are able to forge relationships with faculty and each other. Field experience is a critical component of the MSW program and field placement opportunities are available for students to gain hands-on experience working in mental health clinics, prisons, nursing homes, and child welfare agencies. The social work program is ranked #130 in U.S. News and World Report's publication of Best Colleges. The University of Maine's School of Social Work offers various pathways that lead to an accredited MSW degree: full-time, part-time, and online hybrid approach. Field practicum is an integral component of the MSW program and prepares students with the hands-on experience necessary to succeed in the social work field. Students enrolled in the full-time program clock 400 hours during the foundation year internship and 500 hours during the advanced second year. Various electives may be taken depending on the student's area of focus and interest. Electives include alcoholism and substance abuse, gerontological practice in rural communities, and social work practice with groups. Morgan State University's School of Social Work offers a cheap Master's in Social Work degree that prepares social work professionals to become leaders in the urban community of Baltimore. The department emphasizes work in eliminating human suffering, oppression, injustice, and poverty by providing unique skillsets to graduate students in the social work program. Morgan State University is a nationally recognized university and the 19th Best Historically Black College and University, according to U.S. News and World Report. The school's social work program is currently ranked #104 in the nation. The Social Work Department at Salisbury University launched a Master of Social Work degree program in 2001. The MSW program is accredited by the Council of Social Work Education, a must for earning licensure. The program is student-centered with supportive instructors that offer years of experience in and out of the classroom. Graduate students receive community-based direct practice experience and work in community agency settings. Hands-on experience provides students with the skills needed to successfully address challenges and demands in various social work settings. The school also offers an online MSW degree program for students with work or life obligations that interfere with traditionally taught classes. The nationally ranked social work program at the University of Southern Maine offers an affordable MSW degree, accredited by the Council on Social Work Education. First-year graduate students take courses such as critical thinking and human behavior, generalist social work practice, multicultural social work, and social welfare policy. During the second year, also known as the concentration year, students hone skills in specific areas of interest. Course topics may include social welfare policy, social data analysis, individuals and families, and group practice. During the second year, students also gain additional field experience and embark on a research project or thesis. U.S. News and World Report ranks the school's social work program as #130 in the nation. Rhode Island College's School of Social Work offers an affordable MSW program that prepares graduate students to practice social work in community and public social service agencies. The school offers access to the Child Welfare Institution, MSWSO, Poverty Institution, and The Institute for Addiction Recovery. Students gain field education experience and fulfill course requirements needed for licensing. An optional Adoption and Foster Care Certificate program is available to graduate students. The school is nationally ranked with U.S. News and World Report. In fact, Best Colleges lists RIC as the 131st Best Regional University, the 45th Top Public School, and the 50th Best College for Veterans. The school's social work program is listed as #89 in the nation. Salem State University was the first public university to offer a master's in social work degree program in the state of Massachusetts. Distinguished faculty, CSWE-accreditation, and various completion pathways make Salem State's MSW program a top choice for those pursuing studies in social work. Foundation curriculum covers five sequence areas, including human behavior and the social environment, social policy, social work practice, research, and field education. The concentration curriculum varies, depending on the student's career goals and chosen area of focus. Concentration curriculum options include child and family services, health and mental health services, and older adult and end-of-life care services. Salem State's social work program is ranked 104th in the nation, according to U.S. News and World Report's Best Colleges. Offering full accreditation status from the Council on Social Work Education, Delaware State University's affordable MSW program equips students for long-term careers in social work. The MSW program offers one concentration – advanced generalist practice. Through the advanced generalist practice program, students gain the skills needed to work with individuals, families, groups, organizations, and communities. Adhering to CSWE requirements, students must complete residency requirements in two consecutive semesters while attending Delaware State. The program ranks #148, according to U.S. News and World Report's Best Colleges. The university is also ranked #21 among the Best Historically Black Colleges and Universities, and #40 among the Top Public Schools. Westfield State University is a public institution that offers affordable tuition rates for in-state residents. The school is ranked as the 116th Best Regional University in the North, according to U.S. News and World Report's Best Colleges. 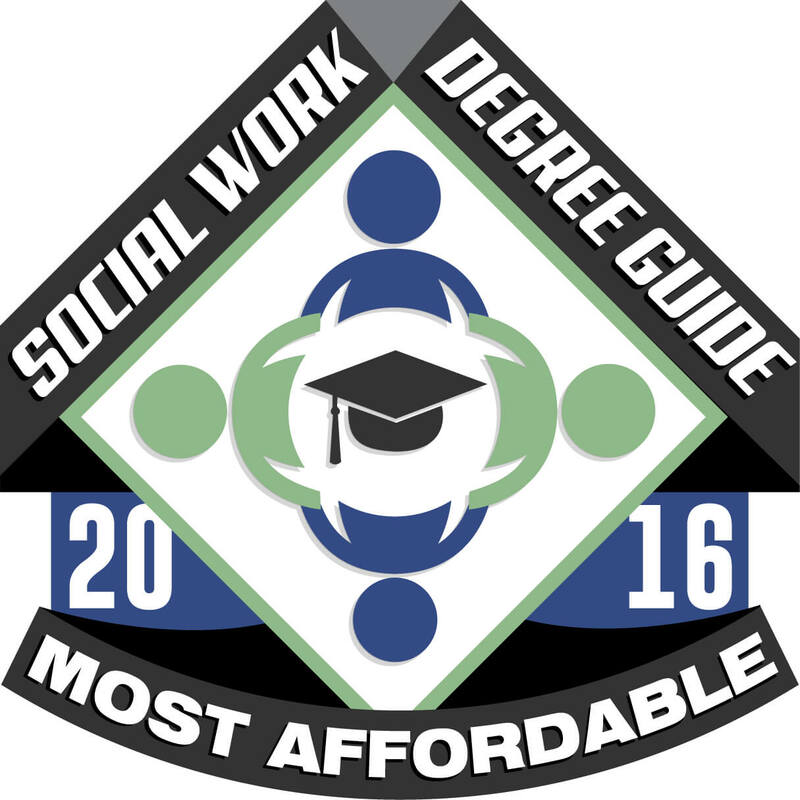 The affordable MSW degree is accredited by the Council on Social Work Education. The school's social work program claims a 95% employment placement rate for MSW graduates working within one year of receiving their degree. The MSW may be completed on a full-time or part-time basis. The program offers a single concentration in clinical practice with various electives, so students may explore practice areas of interest. Areas of interest include children, gerontology, practice in health care settings, school social work, and substance abuse. What Do Social Workers Who Work in Psychiatric Facilities Do?